Real Madrid are reportedly making Manchester United midfielder Paul Pogba a top transfer target for the summer as Toni Kroos looks set to leave. According to Don Balon, the Germany international looks set to leave Real Madrid for Manchester City, while another potential replacement in Tottenham’s Christian Eriksen is too expensive. This has apparently led to Real lining up an £85million offer for Pogba, with the France international also said to have been previously tracked by Zinedine Zidane when he was at Juventus, according to Don Balon. This would be a big blow for Man Utd, with Pogba only just starting to show his best form in the Premier League under new interim manager Ole Gunnar Solskjaer. Still, Don Balon claim the 26-year-old wants out of Old Trafford as he thinks he could win more major trophies elsewhere, despite generally being happy with life at the club. This is all rather worrying for United, who could do without big departures this summer as they look to rebuild after a difficult few years. 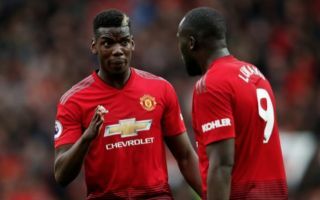 Solskjaer has improved the mood at MUFC majorly since replacing Jose Mourinho, but it would be another setback if Pogba were to leave for Madrid now.